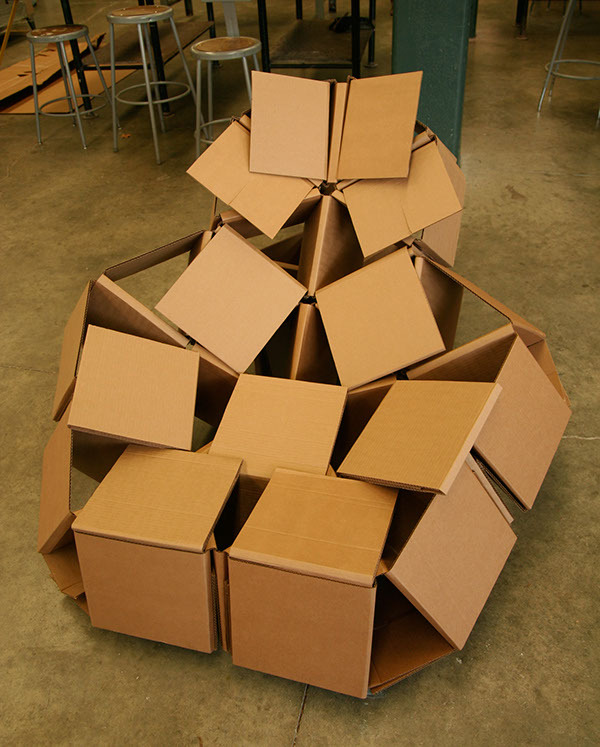 My take on the classic design project, a cardboard chair, is one that utilizes modules that can be rearranged into multiple configurations. 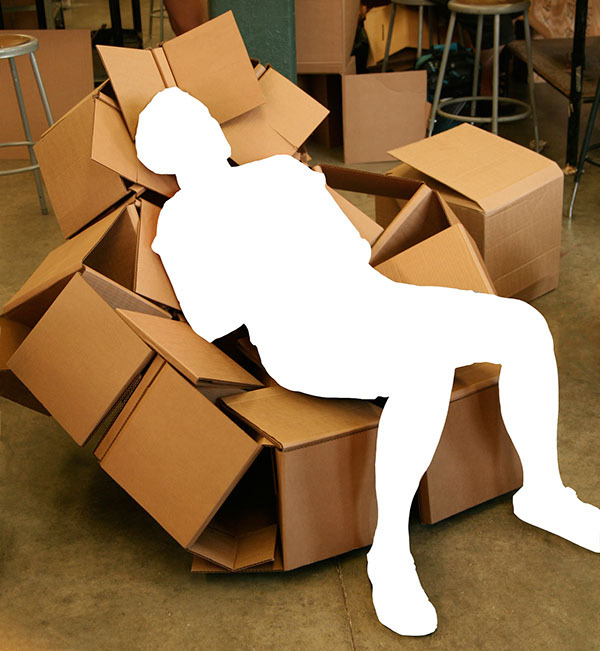 Each piece of the chair is formed from identically cut and creased pieces of single-ply cardboard; whether that component becomes a support, connector, or cushion depends on how you fold or combine the pieces. The main structure is composed of a section of a geodesic dome composed of equilateral triangles. 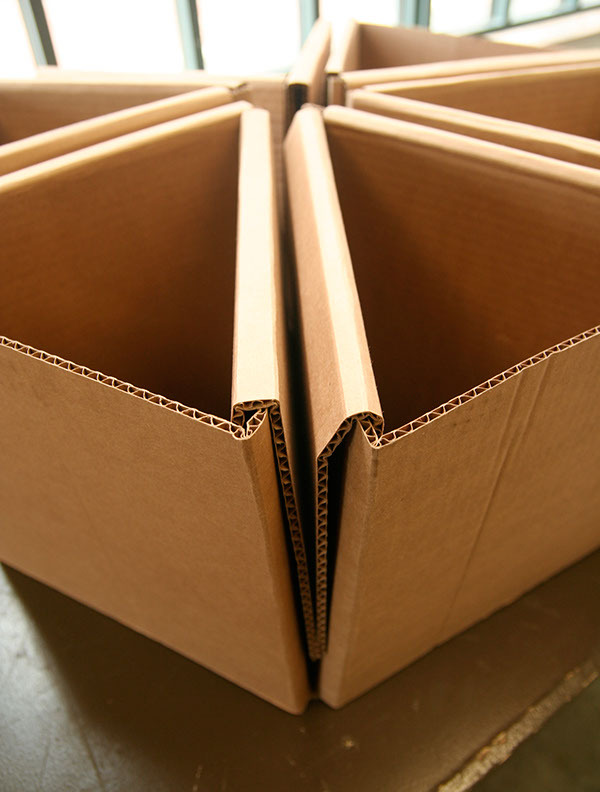 There is no glue or any other type of fastener; the structure is held together from strategic slotting of the components and the friction between them. in the It is capable of holding upwards of three-hundred pounds, and is actually very comfortable. 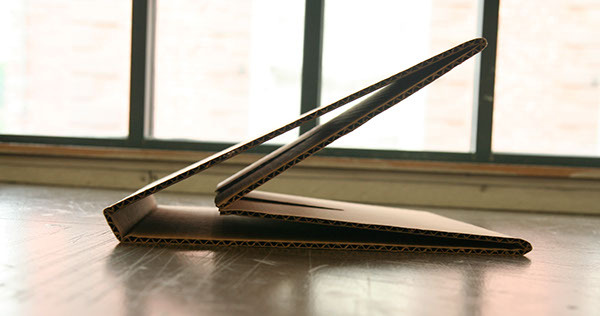 This project was designed in my Spatial Dynamics class at RISD in the summer of 2011. 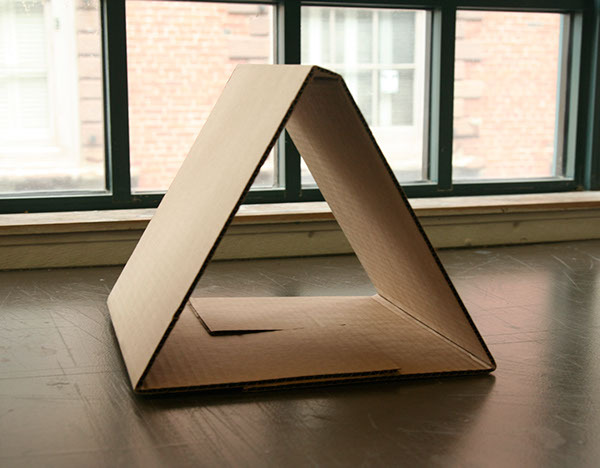 A cardboard chair made of identical modules.